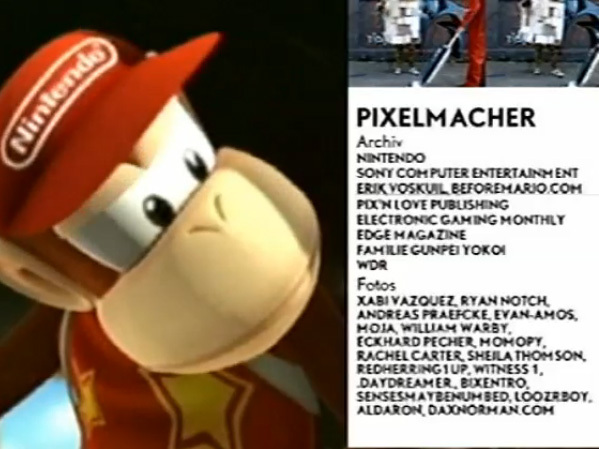 A nice overview of Nintendo's past and future was broadcasted yesterday on German TV channel ZDF Kultur (culture channel), called "Die Nintendo Story". 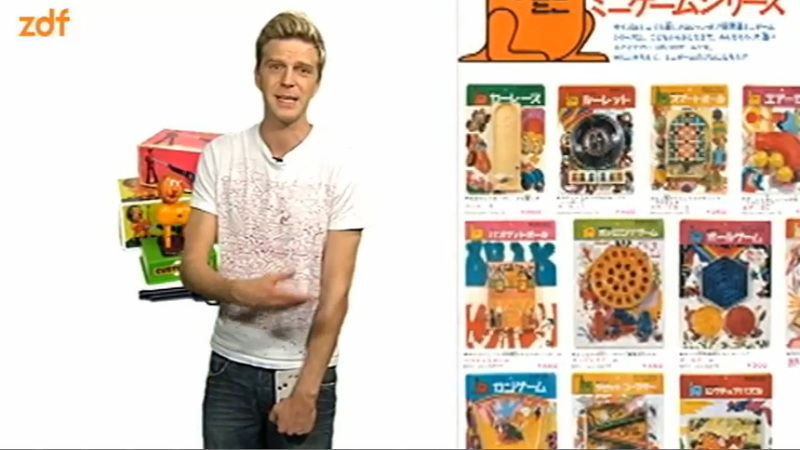 ZDF program "Die Nintendo Story"
You can still watch it on ZDF's website (in German language). The documentary uses some imagery and videos from this blog. I am always happy to share information on Nintendo's illustrious past. 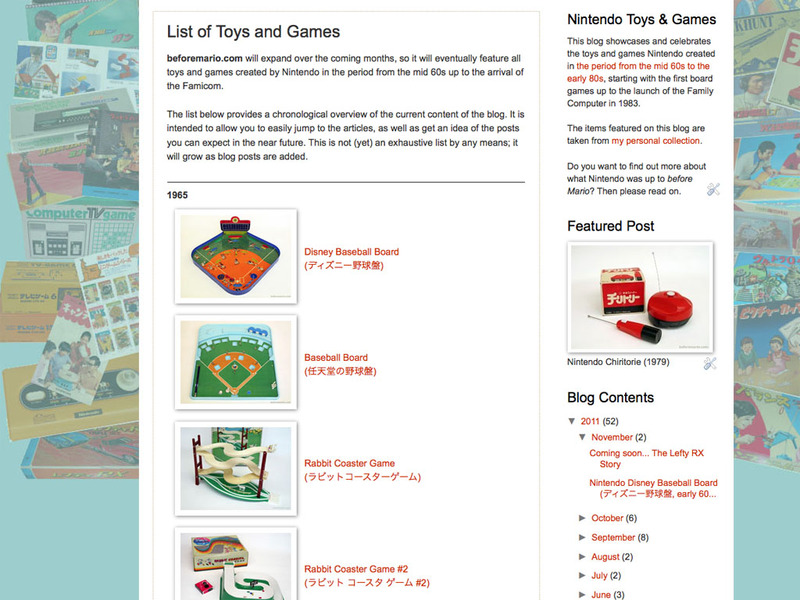 This blog's List of Toys and Games page was becoming a bit boring, with only reams of texts and links. Today I added thumbnails to all the entries in the list, making it more fun to scroll through. It now provides a nice chronological overview of Nintendo's toys and games. The list is not complete yet. But it will be, one day. And getting closer to this point, one blog entry at a time. So, what do you think of the new page? I am currently compiling an overview of the Nintendo Lefty RX (レフティRX) racing cars series. Read all about it in this post. Some time ago, this blog featured a vintage Nintendo sports simulation game, called Nintendo's Baseball Board (任天堂の野球盤), dating from around 1965. A somewhat earlier Nintendo game with the same baseball theme is Disney Baseball Board (ディズニー野球盤). 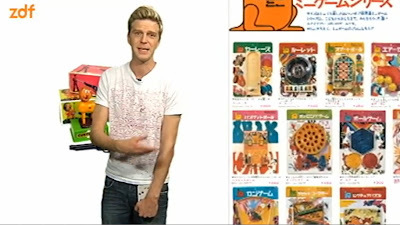 The art on the corrugated cardboard box shows Micky Mouse in baseball attire, and the slogan「カーブがかかる！」, which means "Catch the curve [ball]! ".